Danny Boyle was hoping for a fresh start in Canada. With the help of his uncle Martin, he'd soon found a job and a regular gig with a bar band. And when his sweetheart, Deirdre, joined him, Danny seemed set for life.But Fate wasn't done with Danny, and when his uncle was stricken with AIDS, Deirdre did the only thing she could think of to save him from the darkness – she got pregnant. Rising to the occasion, Danny became a father with enthusiasm.With the arrival of their second child, though, mortgages, day-care, and the press of the day took their toll on the young couple. Battling the voice in his head that told him he wasn't suited for this role, Danny found an ally in the bottle. Soon, drinking became the only thing that made sense to him.Deirdre, however, refused to give up without a fight. 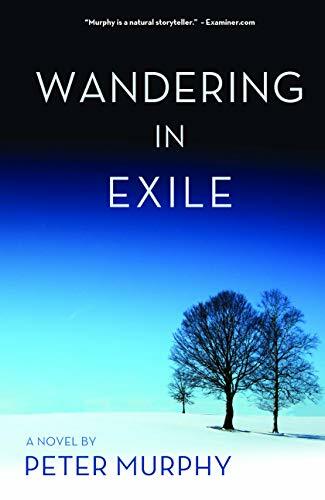 If she could only get Danny to join her, they might even win.The sequel to Born & Bred, Wandering in Exile is the second novel in the Life & Times Trilogy, a cycle of novels that charts the course of one star-crossed life. Filled with poetic prose and brimming with poignant observation, it is a work of uncommon depth and resonance. PETER MURPHY, a writer and journalist, has written for Rolling Stone, the Sunday Business Post, and others. He has written liner notes for albums and anthologies, including for the remastered edition of the Anthology of American Folk Music, which features the Blind Willie Johnson recording of the song "John the Revelator." "One of my favorite Irish authors. If you enjoy a great story, then this one is definitely for you."